9 day program designed to experience Cuban culture the most authentic way possible- through its people. 9- day program designed to experience Cuban culture the most authentic way possible – through its people. Discuss historic preservation with local experts, and meet residents as you explore Old Havana and Trinidad. Witness Cuba’s shifting cultural and economic landscape on visits to schools, art studios, and privately owned businesses. Soak up rhythms of all sorts—from Afro-Cuban to award-winning a cappella. 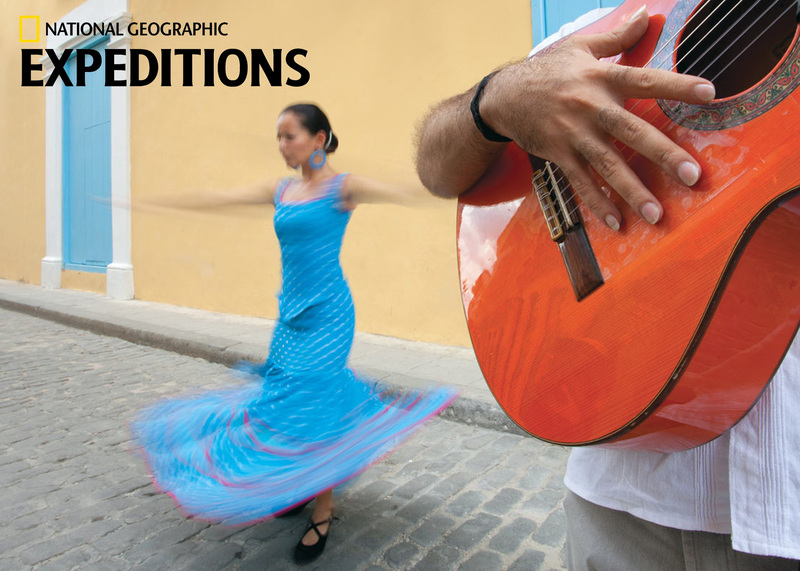 Meet with local dancers and musicians in the colonial city of Cienfuegos. Depart Miami on a charter flight. Upon arrival in Havana, enjoy a brief driving tour of the city and head to the lively community arts program of Muraleando. Get to know artists, dancers, and musicians who have helped transform a downtrodden neighborhood into a living work of art. Then check in to our hotel before gathering for a welcome reception and dinner tonight. The architecture of Havana is astounding in its breadth and elegance, yet years of neglect have left many buildings in need of restoration. Learn about the challenges and successes of historic preservation from a local expert, then set out into Old Havana to see centuries-old gems—and meet the Cubans who live and work in them. After lunch, join local youth and their teachers who are carrying on the traditions of Afro-Cuban religion, dance, and music. Delve into race relations and other issues during a meeting and short film screening with Afro-Cuban filmmakers. Attend a special musical performance after dinner. Spend the morning with Cuban professionals, engaging in a specially arranged discussion on education, economics, social issues, the role of government, and other topics of interest. Then join sports journalists at the stadium where the Cuban Baseball Hall of Fame was established and explore the historical and political importance of baseball here. In the afternoon, meet the instructors and students of La Colmenita, an after-school program that uses song and dance performance as a social development tool. Drive south to Cienfuegos, a port city with French colonial roots. Stroll along the main commercial street on a walking tour of the city, stopping to talk to cuentapropistas (self-employed workers) about the burgeoning private economy here. At the prestigious Benny Moré Art School, watch students perform music and dance, view their artwork, and hear the stories of these talented youth and their teachers. After dinner, there will be an opportunity to get to know residents of a typical neighborhood in Cienfuegos. Near Cienfuegos, explore Cuba’s oldest botanical garden with a botany expert, who will educate us about Cuba’s efforts to maintain the rich biodiversity of its extraordinary plant life. Then stop in a former sugar mill town and meet with the town’s present-day inhabitants. After lunch, focus on sports and their importance in Cuban culture during a discussion with local athletes. Later, enjoy a choral performance and discussion with a world-renowned a cappella group, the Choir of Cienfuegos. Today, head to the historic Bay of Pigs. Trace the dramatic events that occurred here at a small museum, and then step foot on the Playa Girón, one of two landing sites for the 1961 U.S.–backed invasion. On our way back to Havana, pay a visit to Finca Vigía, the former home of Ernest Hemingway. The director of the museum joins us to share a Cuban perspective on Hemingway’s strong connection to the Cuban people. In the fishing village of Jaimanitas, wander through the fantastical workshop and home of ceramic artist José Fuster, called the “Picasso of Cuba.” Stroll down village streets decorated with his mosaics, stopping to interact with neighborhood families along the way. Then attend a question-and-answer session with American author and Havana resident Marc Frank. Meet with Marc and a Cuban journalist to discuss their perspectives on Cuba’s past, present, and future. Celebrate our Cuban experience together at a farewell dinner tonight. After breakfast, talk with troupe members of an Afro-Cuban dance group and enjoy an energetic private performance. Later, transfer to the airport for your flight back to Miami. Prices are per person, double occupancy. For a single room, add $1,850. There is an additional holiday surcharge of $400 per person on the December 27, 2016 and December 29, 2016 departures. Airfare is not included in the expedition cost. The per-person costs for round-trip group flights between Miami and Havana are $550 (November – December 20, 2016 and January 2017 departures), $625 (December 27 and 29, 2016 departures), and $400 (February – June 2017 departures).